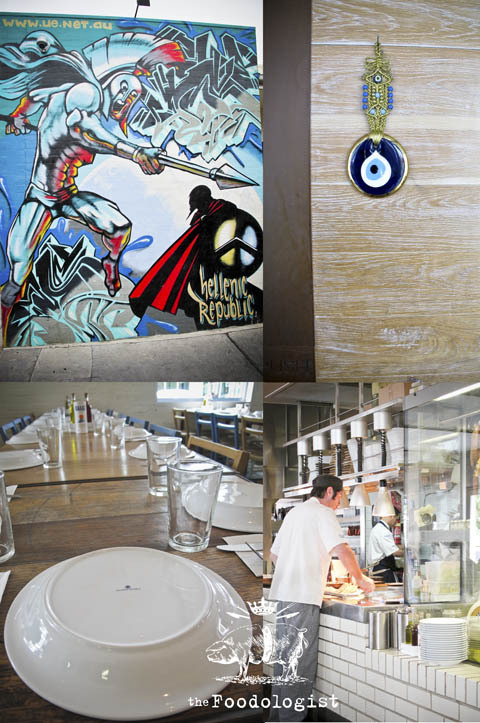 A recent trip to Melbourne had various members of my family (including my six year old daughter) repeatedly sounding the approval bell on George Calombaris’s Hellenic Republic, located on Lygon Street in East Brunswich, a long way from the hustle and bustle of ‘cafe-ville’ closer to the city. My frustrations at not having attended had me begging them for them to go a second time in two days. As it turns out, my begging was short lived as they hardly had to bat an eyelid to get on the phone and try to get another booking at short notice. The Pita, was warm and soft and as usual the problem is that you fill yourself up on the bread before the main course arrives. However in this case it was a risk worth taking. 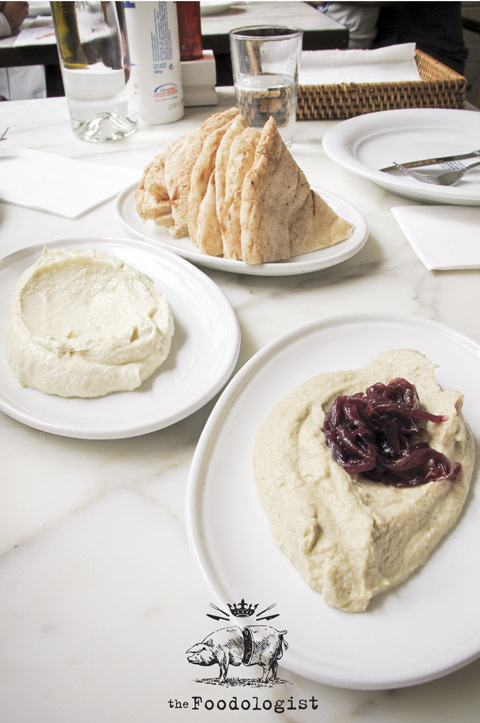 The Melitzanosalata was not smoky like the usual aubergine dip and accompanied by the onions in red wine gave a smooth and clean taste that was perked up by the acidity and sweetness of the onion. The taramasalata was made from white Cod roe and most noticeably was not in any way the usual pink hue (what do they colour that stuff with anyway?) and it was also fishy, not overly so but enough to leave you in no doubt as to what you were eating. I loved the way that this was served up. 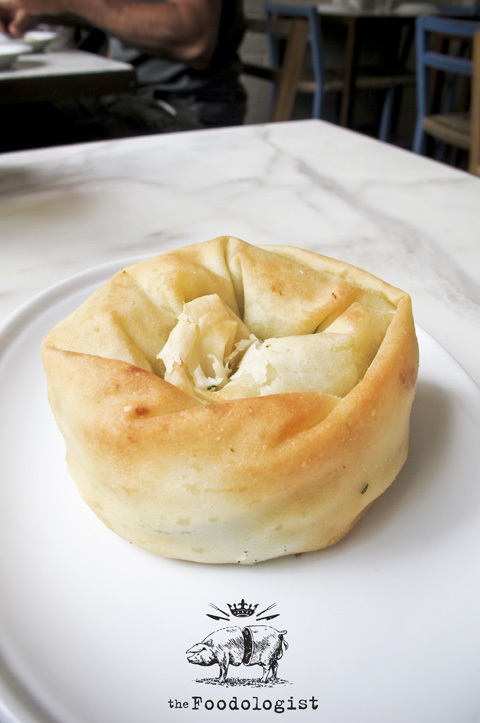 About the size of a traditional Aussie meat pie, this little Greek parcel was not only pretty to look at but had the lovely familiar combination of acidity and slight sourness from the cheese combined with the unmistakeable flavours owing to the spinach encased in a crisp and crunchy pastry that hit all the right spots. 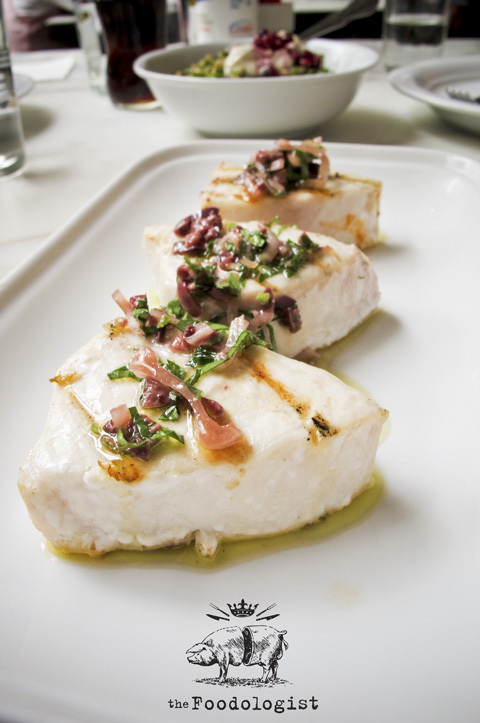 One of my favourite dishes on this visit, the swordfish was simply grilled and served with a little onion, black olive, some olive oil, lemon juice and like the best of Greek dishes, it was the absence of too many ingredients which allowed the quality of the fish to make its own statement of intent. It’s simplicity was in some ways overwhelming but it was a pleasure to eat and a lesson to all wannabe cooks and chefs around the country, use the best ingredients, cook them simply and let them speak for them self. This was my favourite of the two salads that we tried on this visit. 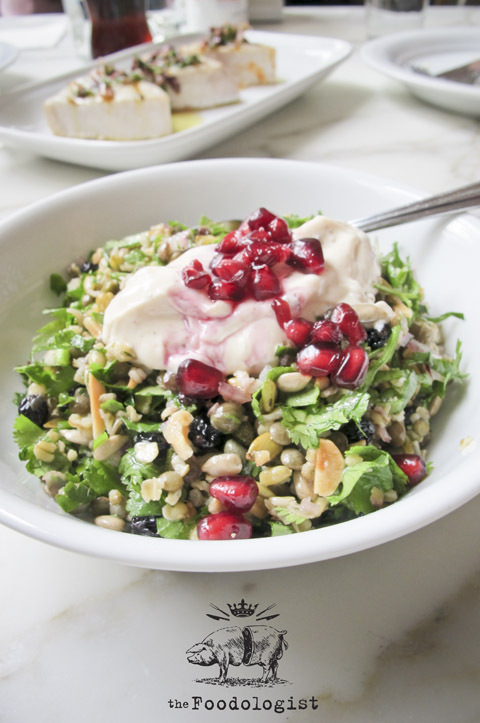 The lentils and freekeh gave the salad substance along with the yoghurt which also gave it body and a little acidity. This was a winning combination. According to the menu, this translates as ‘Village Salad’. I’m not sure if this is supposed to be different from your average ‘Greek salad’ but in this case, the difference was taken by the wonderful slab of Fetta cheese which I was reliably informed by our staff that it was Dodoni fetta which I have heard Calombaris plugging on the radio on numerous occasions. 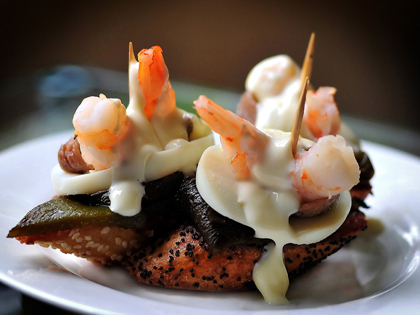 Like the swordfish, the difference is in the detail and quality of ingredients used. 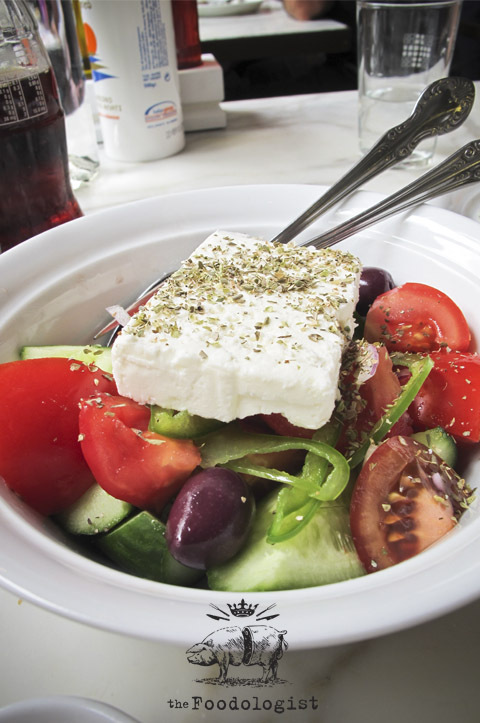 The average Greek salad has small spongy cubes of fetta, dull tasteless black olives and tired tomatoes. On this occasion, the fetta was bright and creamy, the olives slightly sour and astringent and the tomatoes sweet and juicy giving a brightness to the dish that made it worth its while. 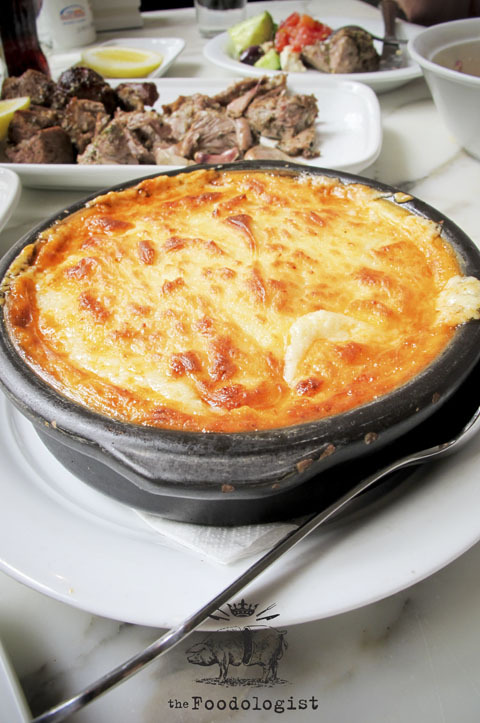 The Moussaka….oh, the Moussaka. Upon trying it, my mother said it that it was really rather good but had quite a lot of nutmeg. This immediately perked my ears as my mother is a an ‘elite’ as a maker-of-moussaka. Her compliment was totally justified as I thought that it was just heavenly. The b�chamel was silky and smooth and yes, it did have a fair bit of nutmeg but what was initially something of a curiosity quickly became an addiction and I repeatedly went back for more. Each component of the dish was readily identifiable but like most truly good dishes, the result was greater than the sum of its parts. For me, this was the star of the show. The baklava ice-cream was initially ordered for my daughter, but with her being in ‘picky’ mode she decided to leave it to do some drawings of the family which left it to me to try. Ultimately, it was nice, but just that. The Baklava was perfectly good too and we presume was the same as that which was added to the ice-cream. The stand out however were the Glyka Tou Koutaliou or the candied fruits and vegetables of which there was a plethora of choice. We tried the Orange and Eggplant varieties and whilst initially somewhat in tredpidation, I found them to be not just pretty to look at but pretty delicious to eat too. All worries about bitterness from the orange were gone upon consumption as were any bizarrely conceived concerns about eating a traditionally ‘savoury’ served vegetable as a dessert. 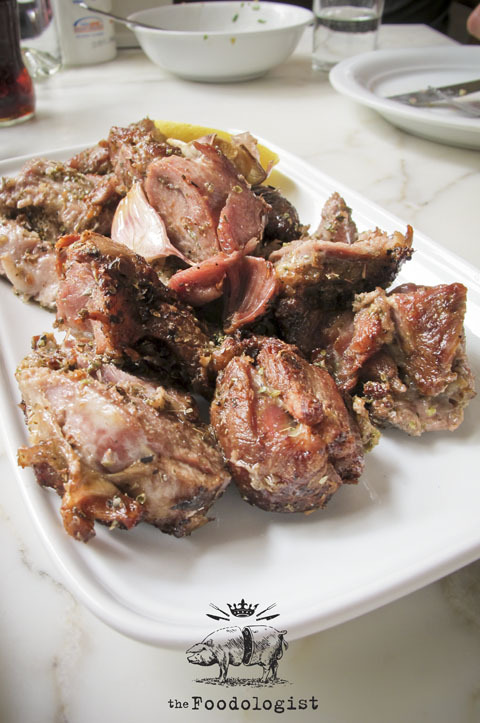 Whilst this might be ‘common fare’ for the traditional Greek family, it is not commonly seen in your average Greek restaurant and for that reason, I urge you to try it. To state the obvious, Hellenic Republic is a Greek restaurant. If you were to merely look at the menu, it would look similar to many many other Greek restaurants. The difference here however is in the delivery and quality of ingredients used. Sure, the dishes are like those found at any number of ‘Greek taverna’s’ over the globe but here, they’re just a bit better. A fair bit better to be honest. Similarly, the space is understated and casual which for a place like this, it should be. On our visit, the service was really good too with staff being completely accomodating without being intrusive. Being an early Sunday lunch too meant it had a good family vibe and they were wonderful with my daughter. Well worth it. Beautiful blog! I love the way you have set everything out and the photos. 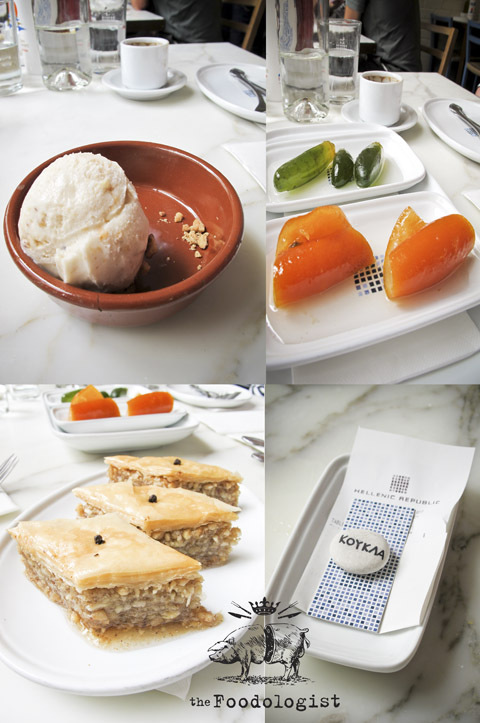 I went to Hellenic Republic last night. It was good but sadly not as outstanding as I had expected.